Art is open to interpretation, which is why you see so much variety and diversity in the field. The highly subjective and perception-based nature of art leaves it open to some great works and some truly shocking works. There are some pieces around the world that are hard to make sense of, even for the most ardent fans of art. They are purposely distorted and are created to draw a reaction from the audience. There are many sculptures that fall into this exact category. 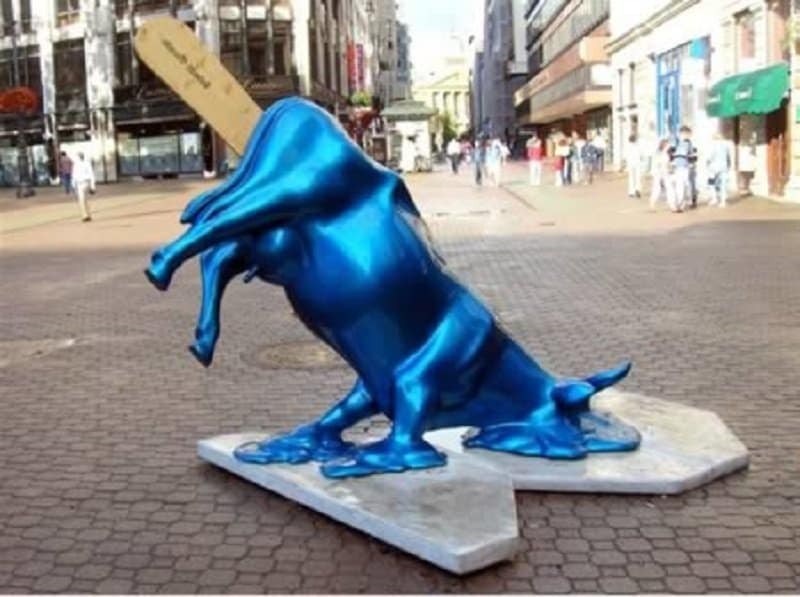 Here is a list of 10 totally bizarre and insane looking sculptures from around the world. This extremely realistic looking statue is aptly title Hanging Statue. 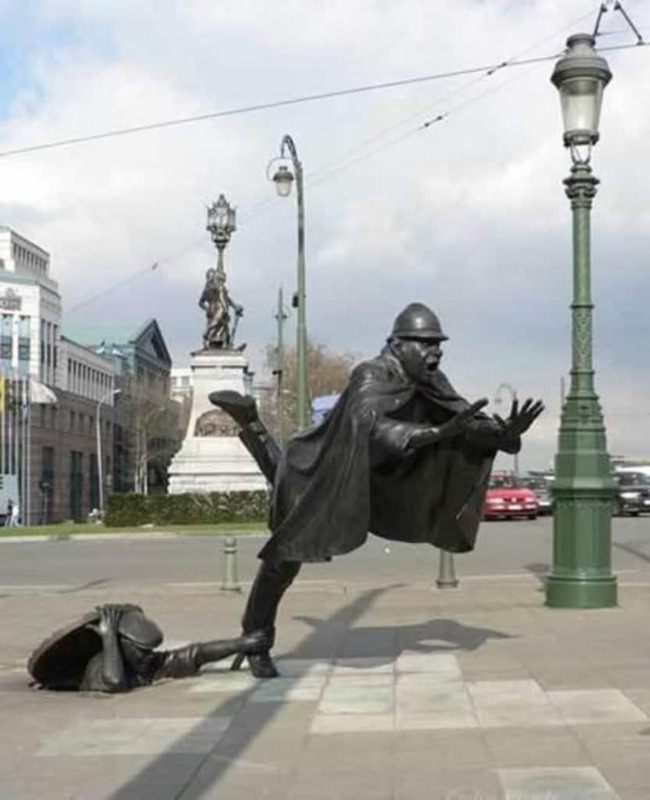 It can be found in Prague, Czech Republic and was created by David Cerny. It is made out of bronze and is supposed to represent the fall of communism. This unique piece was named ‘Planet’. 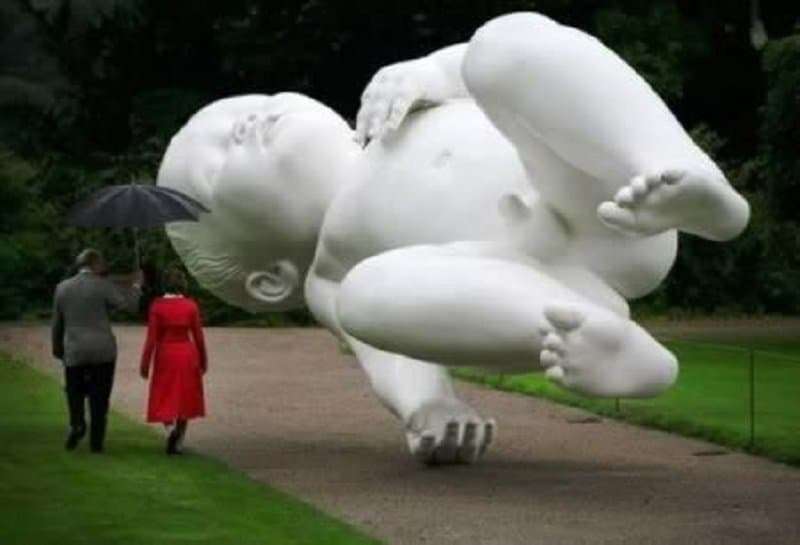 Maybe this was because the artist Marc Quinn believed that our planet is very similar to a new born infant – innocent, full of potential and naïve. It can be seen at Chatsworth House in Derbyshire. 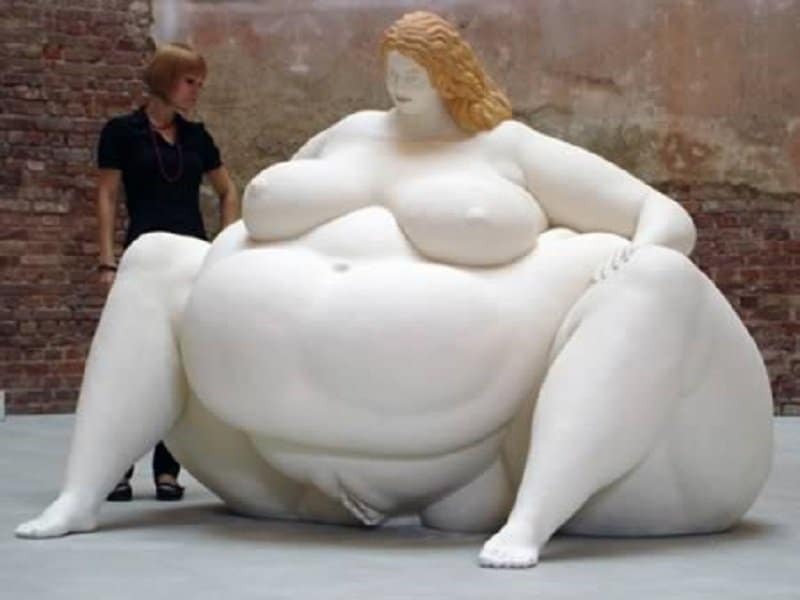 This sculpture of an extremely large and full-bodied woman who is squatting while being absolutely naked was made by Miriam Lenk. You can find this piece at the Communaute Francaise in Molenbeek. It was created by artist Tom Franzen and was named ‘De Vaartkapoen’. It is meant to be an irreverent tribute to the anarchic side of Brussels. 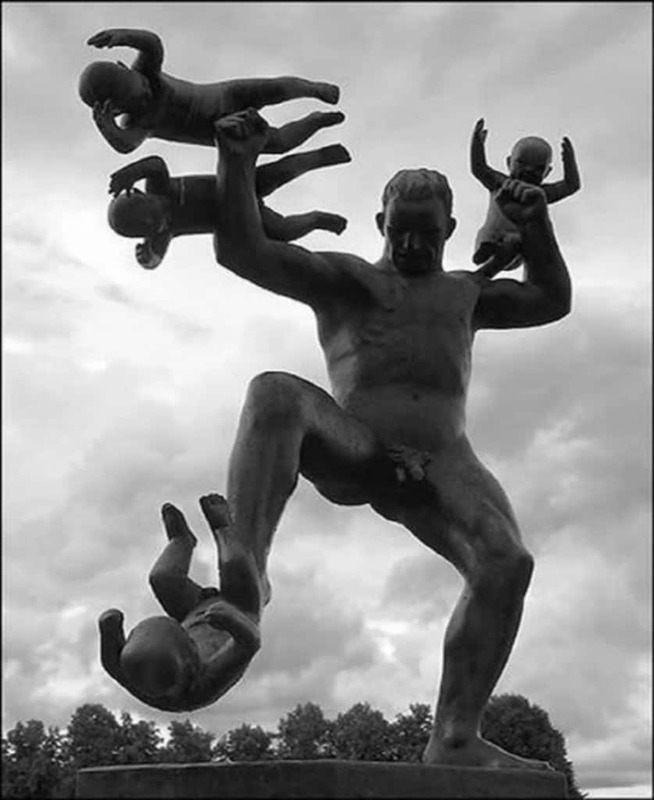 This piece looks like a man is trying hard to fight fatherhood, and he seems to be loosing the battle babies. The piece is called Vigelandsparken and it can be seen in Oslo, Norway. 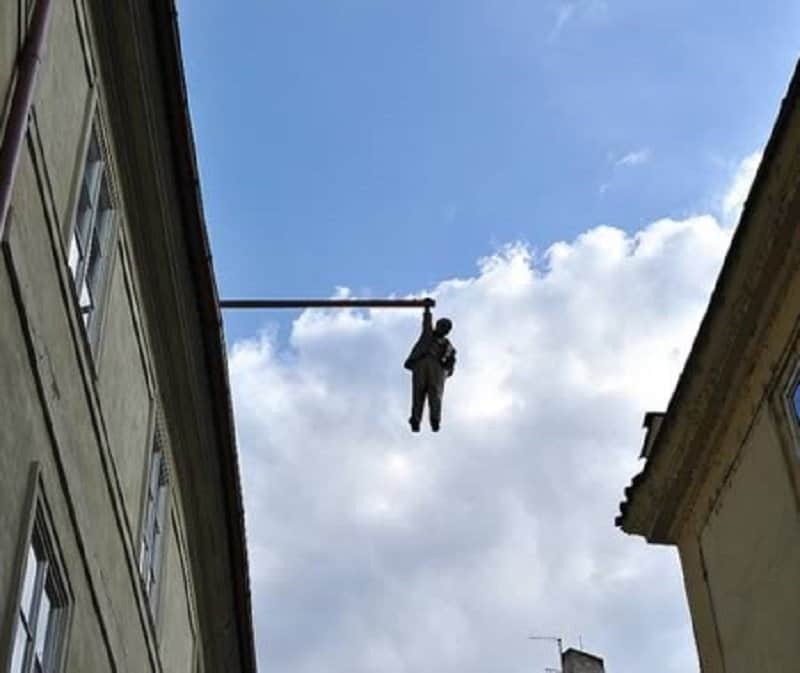 This absolutely bizarre piece can be found in the Czech Republic and was created by artist David Cerny. This giant art is over 17 feet tall and can be found in the DC region. 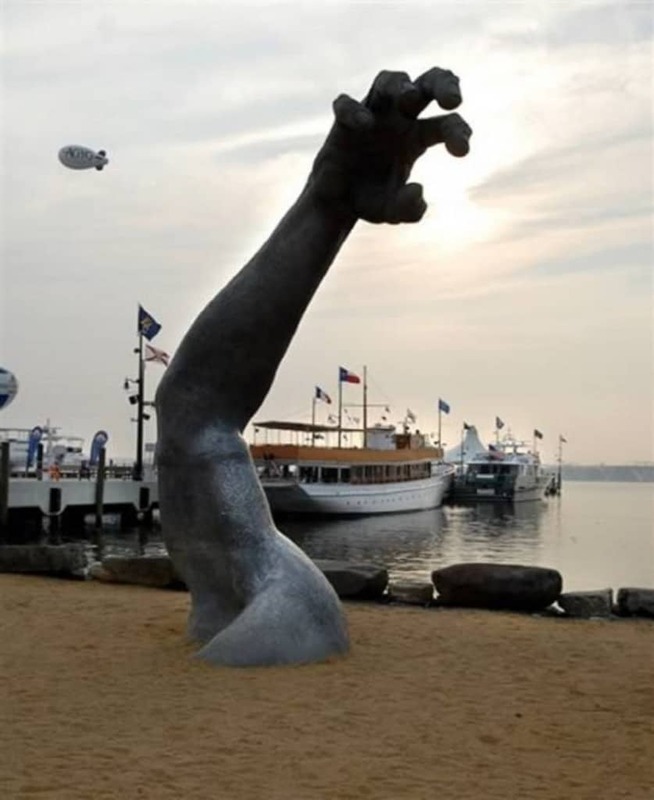 It was created by J. Seward Johnson Jr, and was called ‘The Awakening’. It was mainly sculpted for the 1980 International Sculpture Exhibition Conference. This highly meaningful and deeply provocative piece can be found in Budapest. It is titled ‘Melting cow’, and it clearly speaks about various environmental issues plaguing our planet. 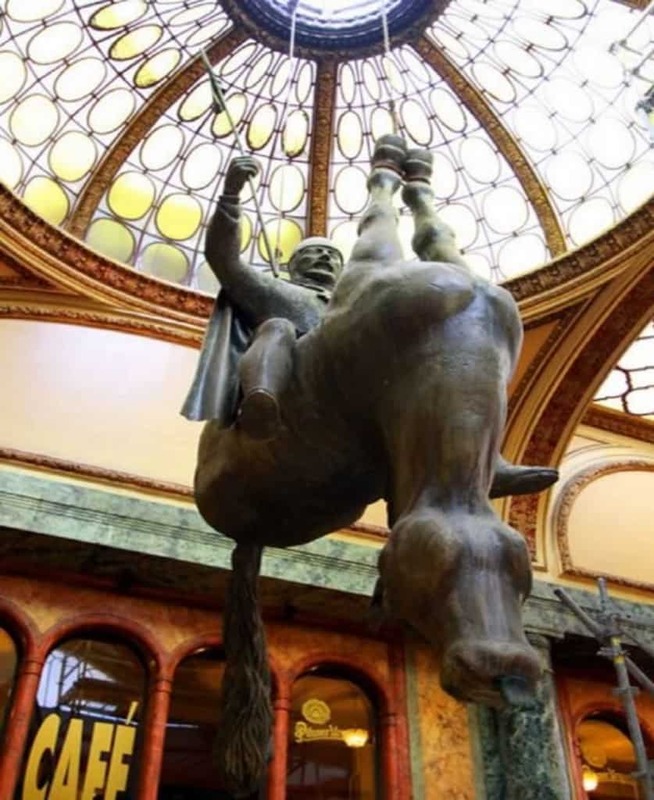 This is a sculpture of St. Wenceslas sitting on an upside down horse for some reason. 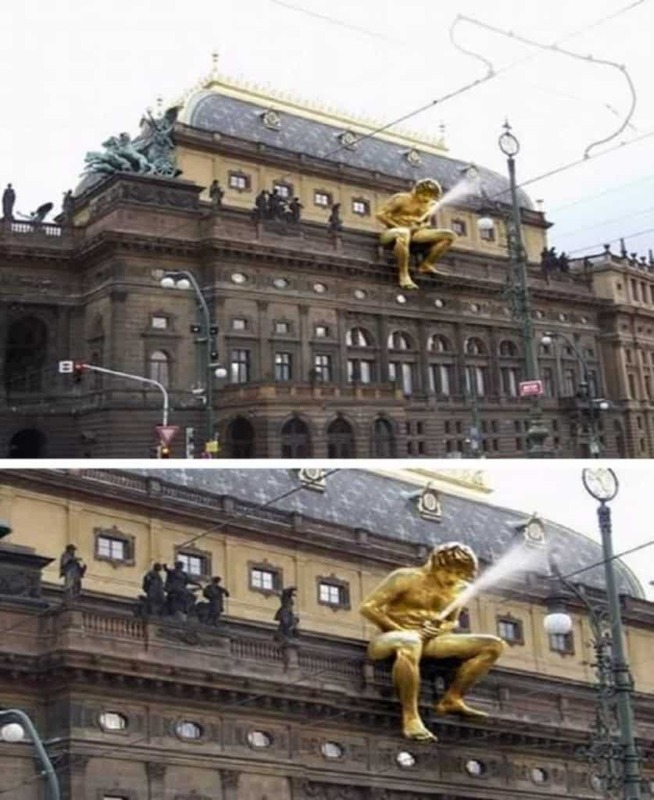 You can see this in Prague, Czech Republic, and it was created by David Cerny. This piece was ironically named L.O.V.E. 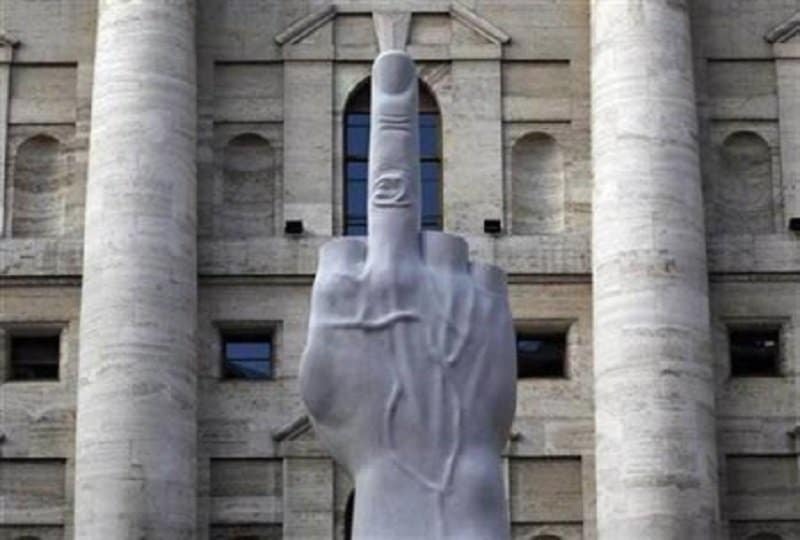 It was created by one of Italy’s most famous artists, Maurizio Cattelan and was sculpted using Carrara Marble. The very same marble was used by Michelangelo and Benini as well.